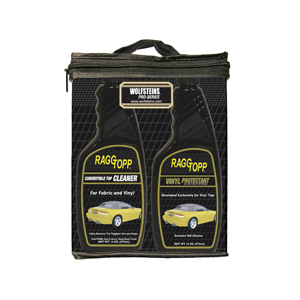 RaggTopp Fabric Cleaner & Protectant will enhance the life and beauty of your fabric convertible top. It repels the growth of mildew, resists soiling and makes successive cleaning and protecting easier. This Wolfsteins Tonneau Cover Vinyl Protectant is exclusively formulated for exterior/interior commercial vinyl products. This product will form a protective barrier and repel dust, grease, dirt, grim, and mildew growth. This product contains no silicone, oils, or petroleum distillates. 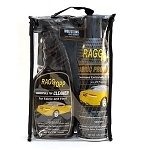 This RaggTopp Plastic Window Cleaner and Protectant Kit safely removes environmental oxidation and protects against UV damage. 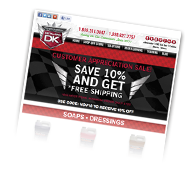 Detail king offers a complete line of RaggTopp Convertible Top Cleaning and Protection products. If you have a cloth convertible top our RaggTopp Kit for Fabric Convertible Roofs will clean and protect your cloth top from natures elements. Many convertibles on the road today still have a vinyl convertible top and need cleaned and conditioned too. 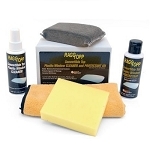 Our RaggTopp Kit for Vinyl Convertible Roofs is perfect for cleaning and conditioning of the vinyl material. 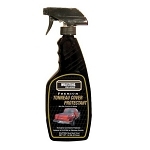 This kit is also great for vinyl hard top roofs that are found on older Caddys and Buicks. All of RaggTopp Convertible roof products has been endorsed by Haartz Leather Corporation. 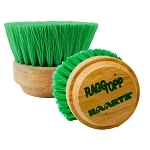 All RaggTopp products are free of silicone and will not damage vinyl or cloth roofs. 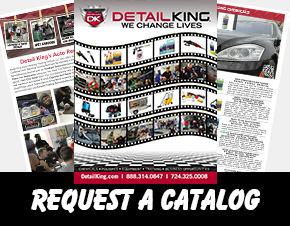 Detail King also offers a RaggTopp Plastic Window Cleaner and Protectant Kit to renew foggy and oxidized plastic rear windows found in older convertibles. 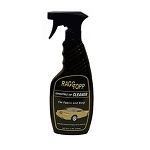 If your convertible is equipped with a leather interior you will need to take special care of the leather seating surfaces as they will be more prone to become dry and faded from exposure to the sun, the RaggTopp Leather Cleaner & Protectant Care Kit is a must! When cleaning delicate cloth convertible tops care must be given to the choice of brush. 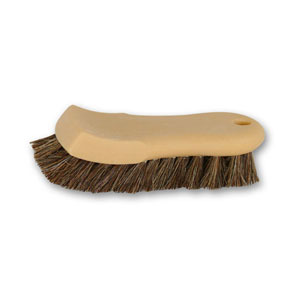 We offer a brush for cloth convertible tops that can also be used on leather seating surfaces.